China’s on-again, off again love affair with Hollywood movies heated up last week, abruptly ending a summer fling with Chinese filmmakers, at least for the moment. After a month’s vacation from late June to late July when American films were embargoed from China’s multiplexes, Hollywood movies have roared back to reclaim the lion’s share of the box office, with 82 percent of last week’s total ticket revenue. Even though SARFT has only partially, temporarily opened the door to US imports, allowing two animated features and two non-studio pictures into domestic theaters in the past few weeks, there’s been enough pent-up demand to propel three of those films—Fox’s Ice Age 4, the Simon West/Jason Statham crime thriller The Mechanic, and Lionsgate’s John Singleton action-mystery Abduction—to the top 3 ranks of the box office chart for the week ending August 5th. The Mechanic and Abduction were only modest performers stateside, earning $29.1 million and $28.1 million during their North American runs in 2011. But the Chinese audience is clearly hungry for new Hollywood fare, and in the absence of new live action American studio films, PRC moviegoers showered the two non-studio pictures with solid, if not spectacular, welcoming parties. At nearly $8 million, The Mechanic enjoyed the second best non-studio foreign film opening of the year so far, behind the $10 million June bow of Lionsgate’s The Hunger Games. Ice Age 4 reached a key milestone by becoming the second highest grossing animated film ever in China, with almost $45 million in ticket sales in its first 10 days. With little real competition for the family market in coming weeks, Ice Age could challenge Kung Fu Panda 2’s Chinese box office record of $92 million. This week the door will close again to Hollywood, although two non-Chinese films will debut: the China-US co-pro Shanghai Calling, and Europa Corp’s Guy Pearce starrer Lockout, which earned $14 million in the US and $25 million worldwide earlier this year. Four new Chinese animated features also bow this week and on August 15th another Lionsgate film, The Lincoln Lawyer, will open against a handful of new Chinese releases. August box office will remain subdued until the 30th, when The Dark Knight Rises is scheduled to open. Whether China Film Group will move The Amazing Spider-Man off that same release date remains to be seen. But the fickle attitude of China’s film czars toward Hollywood’s studios has become exceedingly obvious, and chatter about co-productions is now on the rise. This entry was posted in Analysis, Box Office Reports and tagged Abduction, Amazing Spider-man China, China box office, China Film Group, chinafilmbiz, Dark Knight Rises China, Lionsgate, Rob Cain, Robert Cain, Shanghai Calling, The Mechanic by chinafilmbiz. Bookmark the permalink. Is this also further proof that piracy has little impact on mainland China box office, or at least that bootleg DVDs and the theatrical marketplace are largely unrelated industries in terms of consumer base? 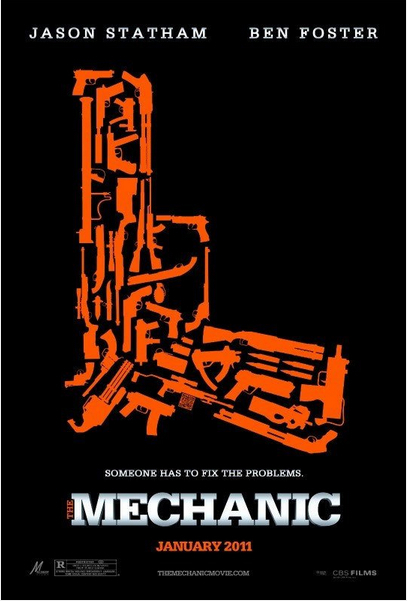 Pirate copies of The Mechanic have been widely available since its US release more than 12 months ago, in DVD stores and online, yet it still managed a substantial opening for a very belated release. “chatter about co-productions is now on the rise”, and so it should be. Especially about creative (both artistically on the screen, and audience-reaching sitting in front of the screen) co-productions that cooperatively deliver what Chinese film is so wonderful at bringing to cinema – sheer filmmaking brio.